Developers often need to parse an XML document in order to get XML document nodes, child nodes and so on. But usually we have no idea how far the depth/nesting of child nodes can go. So we need some form of recursive technique to loop the nested nodes and help us grab the values we want. Here, I describe two methods of doing this. The first method uses the traditional Document Object Model (DOM). The second method uses LINQ to XML. Although LINQ to XML is newer and more powerful, I find that in some particular scenarios like the one described here, traditional DOM might actually do the job “better” (or at least easier). You will notice that I don’t emit the attribute names and values with the LINQ to XML method. In both of the techniques described, we shall be working with the sample XML document below. I grabbed this document from Microsoft here. I then “sanitized” it by replacing all double quotes with single quotes to work with my code examples. Here’s how I loop through the entire XML document. I print out the element and attribute names and values with the loop. The “XmlDocument” object belongs to the traditional/classic Document Object Model (DOM). Note that the “DisplayNodes” method is recursive. 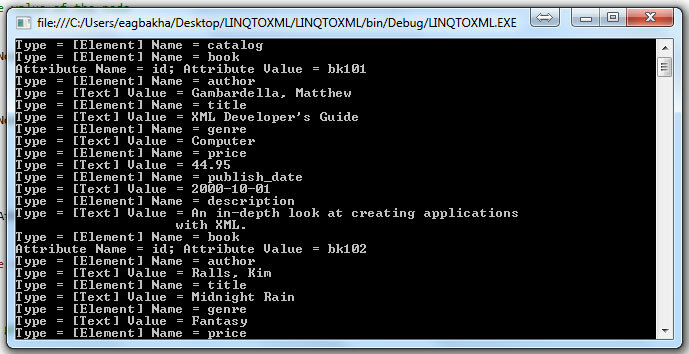 LINQ to XML provides loads of features for manipulating XML documents. The tiny example here is just a tip of the iceberg. LINQ to XML works with the “XDocument” instead of the “XmlDocument”. I’m not using a recursive function here (just a foreach loop instead) because the “DescendantNodes()” method gives us the data we want recursively. However, it does not include attributes as nodes. Notice that attribute names and values are missing. If you want to filter by attribute, you would need to specifically add the attribute filter to the query and then return the matching elements. 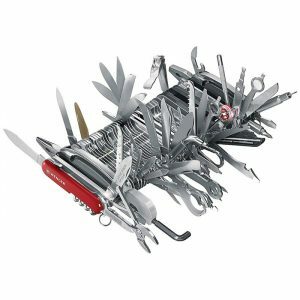 This Giant Swiss Army Knife is the most fully featured one money can buy! That’s right. With 87 tools and the ability to perform 141 functions, it holds the Guinness world record for “most multifuntional penknife”. 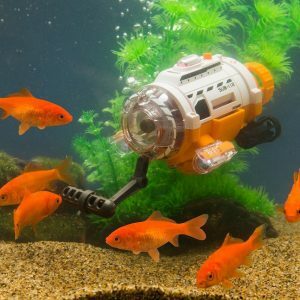 The Remote Control Submarine Camera lets you explore underwater from the point of view of a fish. It can go under aquariums, fish tanks, koi ponds, and even pools. Complete with spotlights and feeding arm, this is the ultimate tank accessory! Chinoms on Actual Size Online RulerThis is cool! I can't help but be enthralled by your skills each time I read your technical posts. Charles on How to Set Up Goals in Google AnalyticsI should consider using it. Thanks.